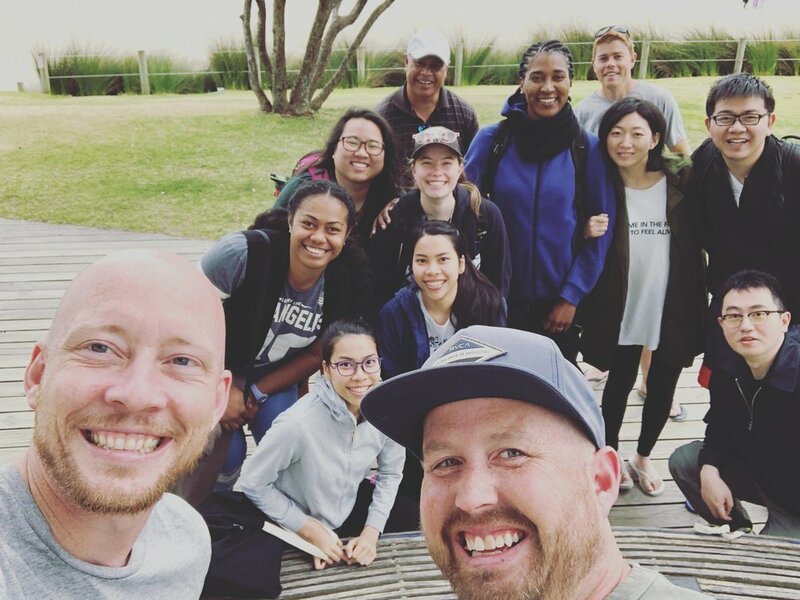 As I have been praying for the upcoming mission Sunday for The Journey Church I have been reflecting on what it means to live out the Great Commission here in New Zealand. We are living in what some would call a “post-Christian” society. This shift in the world means that many people are so far removed from any connection to God or the Church that they have no idea who Jesus is or what he did. For the most part the people are okay with you believing whatever you would like, as long as it does not challenge or attempt to change their personal beliefs or values. Just having a normal conversation about Jesus with a co-worker or friend has become a daunting task. Another shift that has happened over the last few years has been that churches are no longer seen as a safe place to seek answers and journey towards truth. True or not, this is the perception of the world we live in. So when I think of the great challenge Jesus left his apostles towards the end of his life, it seems just that, a challenge. There is an interesting phrase that is used at the end of this command that I believe many of us forget or skim over. Yes, we remember we are to make disciples. We are steadfast in our desire to baptize them into his name. We are dutiful in making sure we teach all the commands Christ has given us. But for many of us we take on this task as a solo mission, maybe allowing one or two people to partner with us. But how often do we think about this being a partnership with the Godhead, three-in-one. The last words of Jesus in Matthew were: “And be SURE of this: “I am with you always, even to the end of the age” (Matthew 28:20, NLT). Jesus was not inviting his friends to go at this mission alone. He was inviting them to continue the journey with him. Continue in his power. Continue in his compassion. Continue in his mercy. Continue in his justice. Till all is made right, and he would be with them always. This amazing promise that was made to the apostles, is the same promise made to you and me. When I think of being a disciple who makes disciples, working on my own, it becomes overwhelming and impossible. But when I remember that this mission, my mission, is a partnership with the “LORD of angel armies,” my strength regains and my boldness increases. When I think of my partnership with The Journey Church, I remember that I am not alone. God is working through you where you are to accomplish his mission. God is using you to increase his kingdom throughout the world by your partnership with others. This week how can you invite Jesus to be a more active participant in your life, in your calling, in your mission? What would it look like in your life if you trusted God, as a partner to work in you and through you as you reach out to your neighbors, to your co-workers and areas of influence? How can you show those around you the love of Jesus in a practical way? Simply, what does love require of you? An idea our family is doing this Summer is we are going to put a picnic table in our front yard and let if be known to all our neighbors and friends that every Tuesday and Thursday evening we will be at the table. There will be snacks and something cool to drink. The concept comes from a book Jennifer had been reading and so we adopted this idea of “Meet me at the table.” If you are hurting, if you are needing to talk to someone, if you are celebrating or if you are just wanting to hang out, “Meet me at the table.” Sometimes creating community comes in the most simply, yet intentional ways. At the table we can pray, study, listen, talk or just sit together and enjoy the silence. But whatever happens, let it happen together. Healing and relationship happens at the foot of the cross and we have been invited to be a part of restoring people back to a relationship with God. We were made to thrive in community and the amazing thing is God invites us to be a part of his community. A great BBQ party only happens when we invite people to come. Come for the food, yes, but even more, come for the relationships. Who can you invite into this community? You have created us to be in relationships. Relationship with you, relationship with each other and relationship with this earth you have given us. You have commissioned us to be carriers of your kingdom plan to restore all thing back to you, as we are your image bearers in this world. Remind us, Father, that we are not alone. Not only have you blessed us with a community of believers, but you have promised that you will never leave us and that you will always be there with us. With you all things are possible. Use us, Father, to spread your glory every where we go. Starting in our backyards and stretching out to the very ends of the earth. We love you! And we join you in your Great Co-Mission, making all things new. I live in the beautiful country of New Zealand with my wife and three children. My family and I have lived here for over 10 years. We planted a church in the city of Auckland called Discover Church. Our family loves the outdoors, movies and spending time with friends. I am an active sports enthusiast. I play a lot of basketball and soccer (football), as well as, coach my sons basketball and soccer teams. I also am a certified coach, consultant to new church plants and existing churches and hold frequent workshops for better disciple-making practices. I love finding and creating new ways of being the Church. Some things about me that inspire (or is that embarrass) my kids: I am known to randomly break out in song and dance. I love playing my guitar for my family. I like to create alter-ego's and frequently use them a school camps and other random places. I am not afraid to try many things at least once. My philosophy is trying everything twice. That way you for sure know if you like it or not.